The 4th workshop on systems engineering for wind energy will take place on the 13th and 14th of September, 2017. The first workshop in December 2010 was a success in catalyzing interest in this important topic among participants from industry, the national laboratories and academia. The second and third workshops in January 2013 and 2015, respectively, with more than 100 participants each, demonstrated the significant growth in interest from the research and industry community surrounding systems engineering for wind energy and integrated approaches to wind turbine and plant design. At this fourth workshop, DTU Wind Energy and NREL will be hosting the workshop in Europe to encourage participation from European wind energy systems engineering practitioners and interested parties. This year’s theme will be on exposing interactions in the system and exploring how different wind energy stakeholders addressing them in new, integrated and innovative ways. 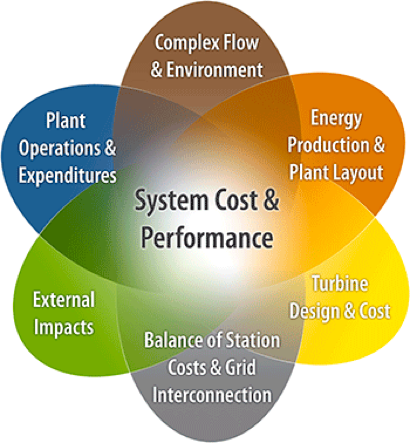 Integrated design of wind systems from components to turbines to plants to operations. We will host a poster session that deals with the main conference theme of integrated wind system design and analysis. Details on abstract submission will be available in early spring of 2017. The last workshop held in January of 2015 was attended by nearly 150 attendees from all over the world including representatives from both the wind industry and research communities. We hope you will join us for this exciting event! To request additional information about the workshop in general, please contact workshops@windenergy.dtu.dk.